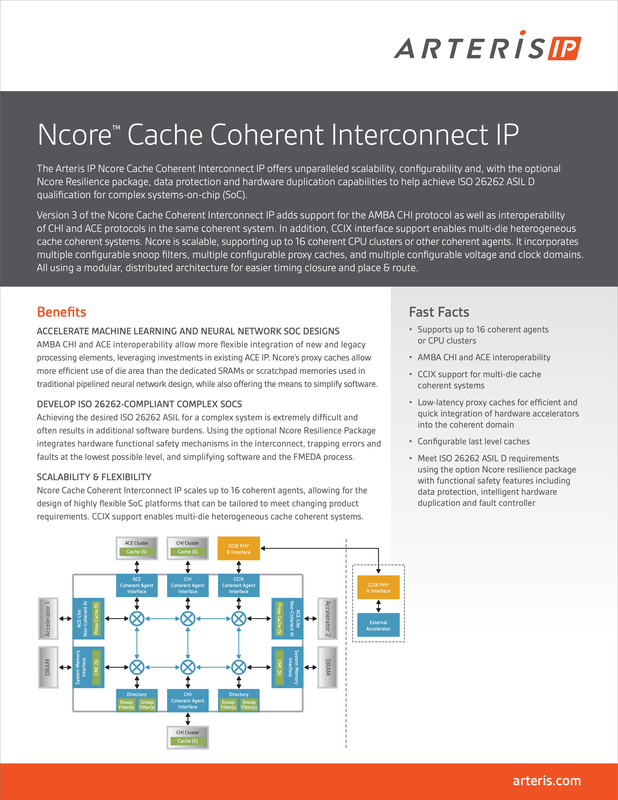 Ncore 3 IP is a distributed heterogeneous cache coherent on-chip interconnect that enables SoC design teams to integrate processor clusters using the latest Arm® AMBA® CHI protocol (CHI Issue B), as well as the new CCIX protocol for multi-chip systems. Your information is safe with us! We will never reveal your personal information to third parties.